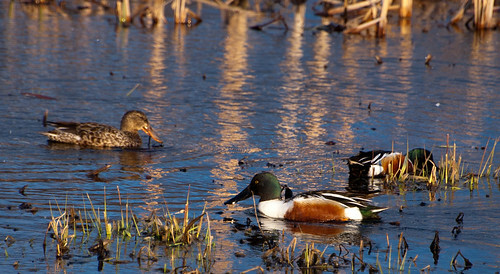 This has been a very good spring for waterfowl. There has been good quality and quantity locally as well as in birding spots near Buffalo and Rochester. 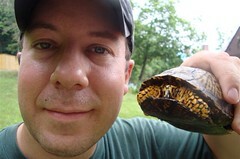 The pictures shown here were taken at Iroquois National Wildlife Refuge and Montezuma Wildlife Refuge. 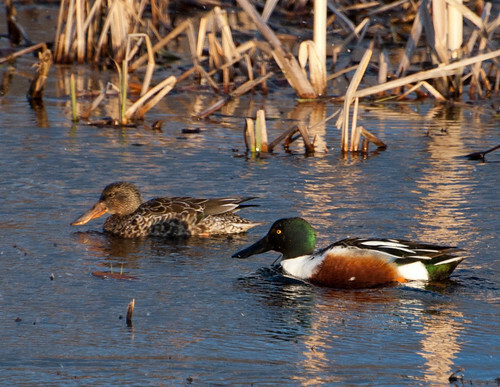 The Northern Shoveler is easy to identify due to its large, spoon-shaped bill. Its bill has over 100 small, comb-like structures that are used as a sieve to filter small invertebrates from the water. 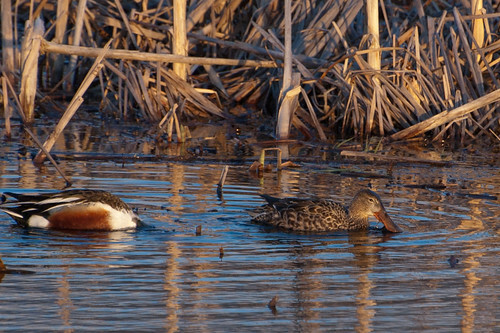 Marshes are its preferred habitat. 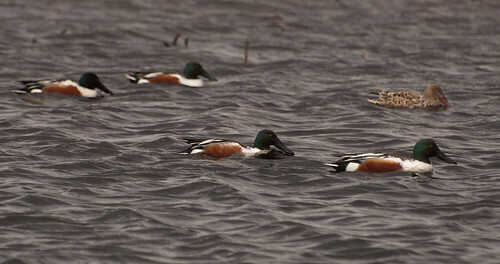 Cornell’s allaboutbirds.org site states that Northern Shovelers do not typically tip their heads or upper bodies forward into the water. I was surprised to read this as I observed this behavior quite a bit (and have lots of photos to prove it!). This entry was posted on 18 April 2013 by patacoate. 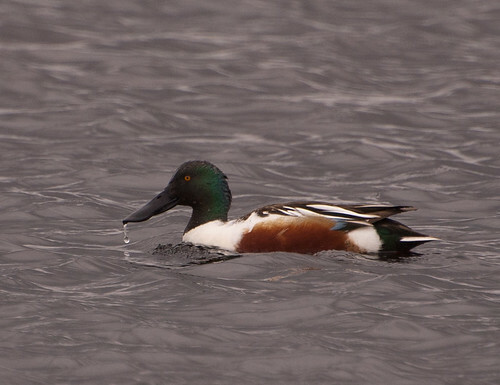 It was filed under iPhone and was tagged with Northern Shoveler Female, Northern Shoveler Male, Northern Shovelers.